A series of classic plays by greats such as Ibsen, Euripides and Shakespeare will screen at the theater to bring world class productions to Shanghai audiences. Good news for local theater lovers: A bunch of world-class plays are coming in HD to the big screen at Huangpu Theater. Upcoming productions include Ibsen’s “Hedda Gabler” directed by Tony Award winner Ivo Van Hove, Charlotte Bronte’s “Jane Eyre” retold by Sally Cookson in an innovative way, Euripides’ “Medea” reinterpreted by British playwright Ben Power and Bernard Shaw’s “Saint Joan” starring Gemma Arterton. 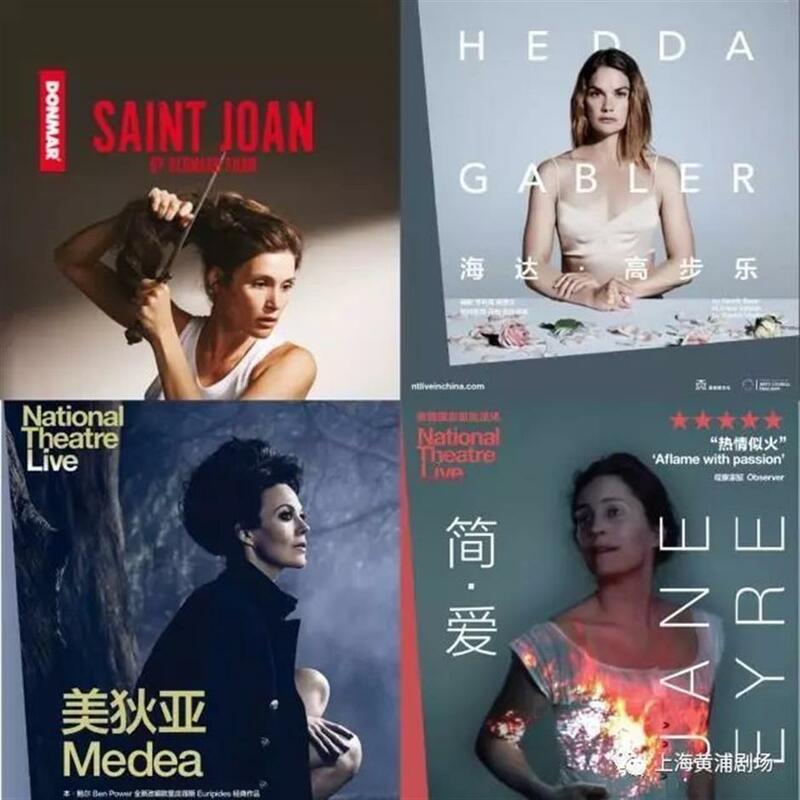 Featuring four women who seek freedom and fight against their fate, this series of performances will be broadcast in HD by National Theatre Live. Three Shakespearean masterpieces, “The Merchant of Venice,” “Twelfth Night” and “The Tempest,” will also be shown. Instead of going abroad and paying through the nose for good tickets, audiences today are able to enjoy shows at a theater nearby with the best seating at reasonable prices, thanks to digital technology. According to Mao Yiming, deputy general manager of Huangpu Theater, they intend to let more people watch the best shows in the world by way of HD broadcast, which plays an important role in art education and appreciation. The screenings might also encourage people to go and see live theater, Mao said. After a seven-month renovation project, Huangpu Theater, a witness to the ups and downs of Shanghai’s culture scene, reopened in October 2016. Built in 1933 and originally called Jincheng Grand Theater, the venue integrated classic design with modern elements from the very beginning. Visitors can experience the elegance and history of Shanghai at the venue. More screenings of stage performances are coming soon. Those interested can get the latest news on the WeChat account of Huangpu Theater (sh-hpjc). Address: 780 Beijing Rd E.